I'm very excited because my uncle and his lovely fiancée have sent out their wedding invitations for their wedding in November. I love weddings and getting to spend time with your family while celebrating something so beautiful... Okay and I love the cake a lot. ;) This shall be a very different wedding for me as my uncles fiancée is Greek it's going to be a traditional Greek wedding which is a first for me but I'm very much looking forward to it. I pretty much only know that they serve amazing food at Greek weddings and everyone always looks so glamorous. The last time I went to a wedding I wore... (don't judge me) a jumpsuit :o I found it very difficult to find any nice dresses but this time round I am determined to look my best as I know there'll lots of beautiful women in amazing outfits at the wedding. Plus, I turn 18 next March and I think it's time I dressed up more so I need to go for the works... Dress, heels.. etc! 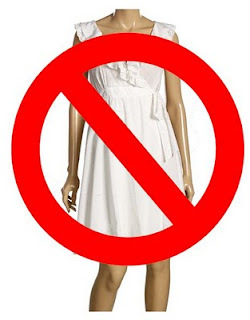 we all know white is a NO NO!! you can't look better than the bride on her day. My mum thinks black to a wedding is bad because it seems as if you're off to a funeral? Thanks Lucia! :) I'll be sure to check out your blog! Nice pictures. you are looking so gorgeous:) can we follow each other? No problem Sally. :D Haha, hope you enjoy your look around & hope you're well too!